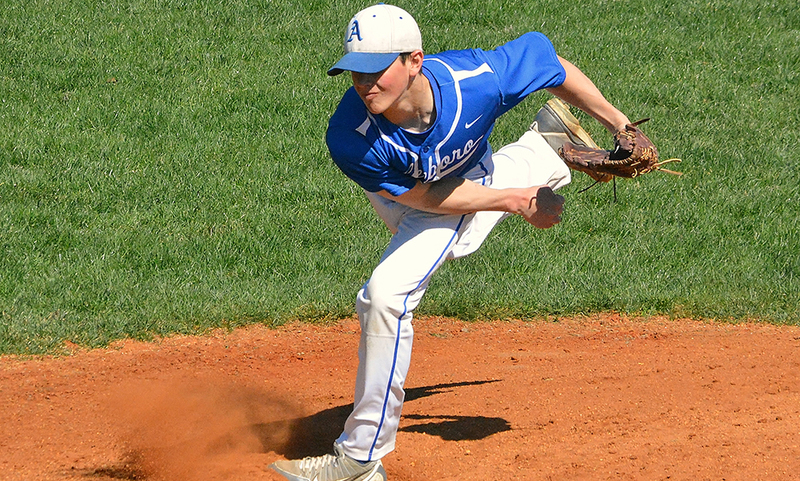 A rough end to the 2015 campaign kept the Bombardiers out of the postseason last year but with 11 seniors and a good amount returning experienced players, Attleboro is looking to get back to the playoffs this year. Both Nate Tellier and Tyler Stowe are returning three year starters and captains this season, alongside seniors Will Carter and Jon Dunn. Tellier is one of the best shortstops in the league and led the Bombardiers in hitting last season with a .357 average and 14 runs scored. Tellier will also be a force on the mound after recording a 1.44 ERA in 34 innings last season. Stowe will man first base when he isn’t pitching. Matt Callahan, Cam Hochwarter, Brandon Galvao and Robbie Araujo will all see time in the infield along with Tellier and Stowe and juniors Dylan Maskell and Dylan Prout should also fit in the infield. Will Carter returns behind the plate while Dunn patrols centerfield. Pat Collins, Brent Cook and John Burns are all likely candidates to see time in left and right. Along with Tellier and Stowe on the mound, Dunn, Galvao, Callahan, Prout, Maskell, Nolan Kane, Tyler McGovern and James Weir should see time. The Panthers reached the D1 South Semifinals last year but there will be some voids left from graduation that Franklin needs to fill in order to get back there. The talent that Franklin does have back is a good group with Alex Bissanti returning at second base, Mike Skaza back to pitch and patrol the outfield, Nick Santucci at shortstop, Tyler Gomes will move to catcher full time and Jake Lyons will handle centerfield duties. Joe Corsi will handle a variety of roles and Josh Macchi will take over first base. Franklin graduated 10 seniors from last year’s squad that included the entire pitching rotation and closer. Brown noted sophomores Jake Noviello and Matt Foley will see time on the mound this season. King Philip has seven seniors and seven juniors on its roster this year and a good chunk of that experience comes on the mound. Jake Lannigan, Jake Cavanagh, Jon Rolfe and Jack DiCenso are all seniors that have experience on the mound. Rolfe notched a 1.80 ERA in 35 innings last year while striking out 26 while Cavanaugh tossed over 41 innings, striking out 35 with a 2.88 ERA. Rolfe is also the top returning hitter after hitting .302 last year. Leo Munafo returns as the starting catcher and Will Weir is back at shortstop for another year. Stephan MacMeans had a strong year in the outfield last season and will patrol centerfield again this season. All four senior pitchers previously mentioned will all see time in the field as well. Last season was a banner year for first year head coach Joe Breen and the Hornets as Mansfield won its first league title since 2007 and reached the D1 South Finals. But last year is already in the rearview mirror for the 2016 Hornets. Key returnees include senior catcher Mike Arnold, senior first baseman Tyrone Pascual and senior center fielder Charlie DeMassi. Expect each of them to be in the top of the order. DeMassi showed off his defensive prowess in the center last season and will be a key piece this year. The biggest question mark for the defender Kelley-Rex champions will be pitching. Breen said he will be looking for seniors Jared Menzer, Jack Neureter and Michael Kirejczyk to step up alongside sophomore Tyler Dalton. Last season ended far from how Big Red had planned when they dropped nine of their last 10 games to miss out on the playoffs. But head coach Paul Tobin brings back his two top pitchers and a solid group of experienced seniors. Seniors John O’Donnell and Andy Katch are back on the mound for the Rocketeers. O’Donnell logged over 36 innings on the mound last year with a 2.89 ERA and 23 strikeouts. Ridge Olsen is back and will patrol left field after batting a team-high .433 last year with 13 RBI and Brian Kleczkowski returns to first base after hitting .321 last year with 16 RBI. Junior catcher Tyler LaFreniere is also back along with second baseman Brian Poillucci and centerfielder Bryan Harris. Tobin noted junior Brett Cloutier, junior John Brennan and sophomore Zach DeMattio will factor in this season. Taunton has had a lot of success since joining the Hockomock League and head coach Jeff Sylvia is hopeful that will continue this year. With a handful of very good players back, it’s likely that will continue. Taunton brings back Luke Figueira, who was the 2014 HockomockSports.com Underclassman of the Year as a sophomore and then was one of the league’s best all around players last year as a junior. Figueira batted a team-high .500 with 15 RBI and pitched over 35 innings with 51 strikeouts, posting a 1.78 ERA. Jose Mercado will see an expanded role on the mound after striking out 25 in 18 innings last year. Max Bowden returns behind the plate and will also be back as the closer after four saves and a 1.62 ERA last year. Sylvia also has Brendon Mazzerole back, who was selected to the HockomockSports.com First Team as a third maseman last year. Mazzerole will shift to short this year and will look to build upon his .429 average from last year. Senior Kevin Griffin also brings back some experience while seniors Charles Hearrold III and Dan Noonan and junior Danny Keogh will try to make an impact this season. Sylvia is also looking for sophomores Joe Manchester and Jacob Crawford to slide into roles early on. NEEDHAM, Mass. – Trailing by a goal, Mansfield was finally getting some attacking pressure as the second half began. James Chotkowski laid the ball off to Sean Lanzillo near midfield and the sophomore was able to dribble across the width of the field, eventually laying it off to senior Charlie Rogers. 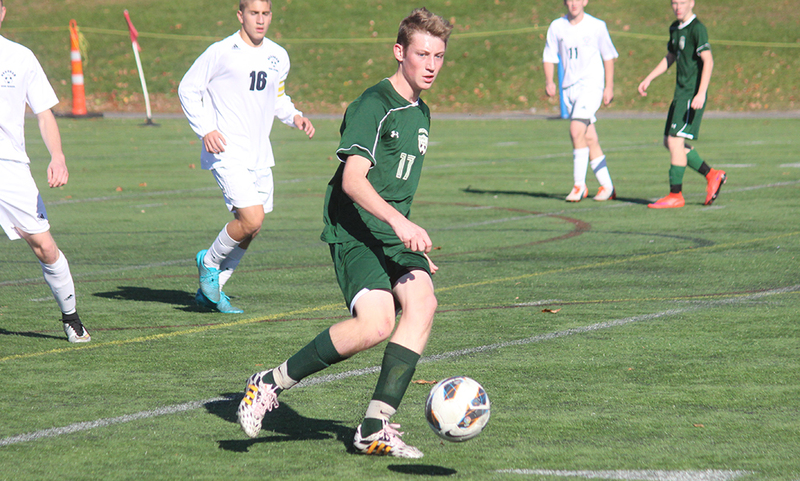 Rogers took a touch into the area and unleashed a shot that forced Needham goalie Simon Shulman into a diving save. But two minutes later on the other end, a blocked shot fell to the feet of Cormac Lynch-Collier and he placed his shot perfectly at the far post to make punctuate Needham’s 2-0 win over Mansfield. It was a strong defensive effort on the original effort but the bounce fell right to Lynch-Collier and his shot left Kirejczyk no shot. The Rockets had control of the game from the get go and nearly took the lead in the 25th minute. Needham’s Donnie Igo was able to get a touch to the ball before Mansfield keeper Michael Kirejczyk could get to it and centered a pass to Jeremy Stern but his shot was blocked by Chris Elsner. Just three minutes later, the Rockets did find the back of the net from seemingly nowhere. After large spells of possessions, the Rockets earned this throw after a poor clearance. Igo launched a throw into the area and Michael Aksman rose above his man and tucked his header into the corner for a one goal lead heading into the break. The Hornets were able to really limit the Rockets, who have only lost a pair of games this season, in the first half. Elsner along with Max Gurnon were a formidable duo in the center and didn’t allow Igo — arguably one of the top scorers on one of the top teams in the state — to get much going at all. Igo scored four goals in the first round in a win over BC High. “They doubled up our star up top and that really took him out of the game and made us work for our goals differently,” Ordierna said. “I think that helped us posses the ball a little more. When they had to be a little more offensive, they took it to us. They’re athletic, they’re fast. They’re very dangerous on their set pieces and they had some opportunities we were able to stop and that was the difference. One set piece that was stopped came in the 56th minute. Elsner ripped a free kick from 35 yards out that was targeted for the right upper 90 but Shulman lept up and got a hand to it, forcing it to hit the bar and go over the net. Kirejczyk came up with a big save when Igo did finally get his first year shot on goal, taking a feed from Stern and taking a shot from inside the area but the low bid was saved. Sophomore Harry Braidt also had a sliding stop after a long cross looked to be deflected on target. “A lot of the 50-50 balls we were able to get to,” Sheridan said. But they controlled the second [balls]. One thing they did really well was getting the ball away from pressure. Doesn’t matter where on the field, they get it away from pressure to a man on their team. They did it really, really well, they are a very good team. Mansfield, the Kelley-Rex champs, finish 13-3-3 overall with its first league title since 2006.
Who is the current soccer Player of the Year? 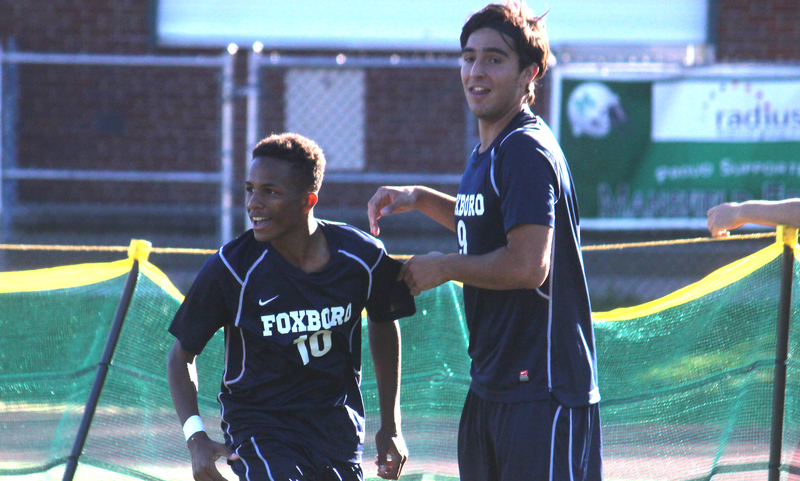 Lanigan: Foxboro senior Devante Teixeira is off to a great start this season and has been arguably the toughest player to stop. Playing out wide, Teixeira has shown he can straight beat defenders and get to the line for a service or he can cut into the area and create an opportunity that way. He has been the beneficiary of some great work from teammates Anthony Barreira and Joe Morrison, among others, but he has made the most of his opportunities. His mix of speed, skill and vision make him very hard to stop. Perry: The Foxboro trio of Devante Teixeira, Joe Morrison, and Anthony Barreira deserve recognition as do Brad Eames and Max Gurnon for the solidity of Kelley-Rex leaders Mansfield, but if I had to pick a Player of the Year right now it would be Oliver Ames senior Chris Romero. He isn’t a flashy player with tons of goals, but he is fourth in the league in points with 12 (six goals and six assists), while playing multiple roles for the Tigers from dropping into midfield, playing out on the wing, protecting the back four as a defensive mid and even playing sweeper to protect leads late. Nathanial Cardoza and Keegan Nutt have both had Player of the Year caliber seasons too, but Romero is a coach on the field and the leader of the best team in the Hock. Who is the soccer Underclassman of the Year? Lanigan: Sometimes it can be hard to justify a player’s worth if there aren’t stats to back it up, but there’s no question about how good Oliver Ames sophomore Nathaniel Cardoza has been this year. 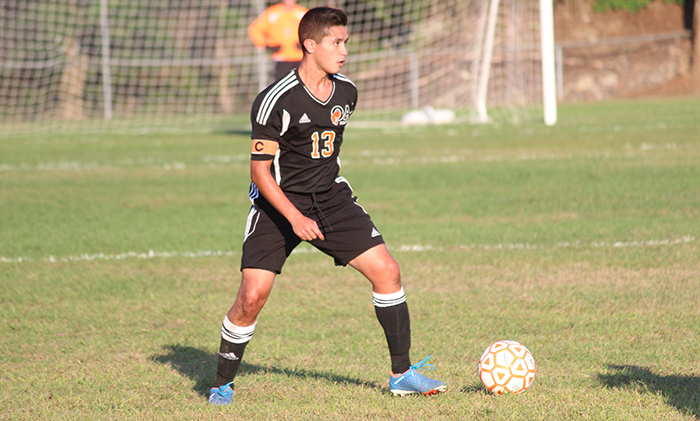 Playing in a center mid role, Cardoza have been a catalyst in the Tigers’ defense as well as the offense. Head coach John Barata has the ability to drop Cardoza a little deeper when OA gets a lead, which pads an already tough defense. Between Cardoza and sophomore midfielders Cam Vella, Matt Campbell and Mason Galbato, the future of OA’s midfield looks very good. Perry: At the end of last year, I made the case that Joe Morrison deserved mention for the Player of the Year as a freshman and since he came back from an injury a couple games into this season Morrison has just continued his upward trajectory. Morrison is the fulcrum for a Foxboro attack and was sorely missed in Foxboro’s one loss this season. With Morrison in the midfield, the Warriors always have an outlet and someone who can be patient with the ball even under duress, which allows Devante Teixeira and Anthony Barreira to play higher up the pitch and push opposing defenses back with their pace. His ability to break a defense down, makes Foxboro the most dangerous offensive team in the Hock. What has been the biggest surprise this season? Lanigan: We had a feeling Foxboro, OA and Mansfield would all have good seasons and so far that is holding up. Meanwhile, the defending four time Kelley-Rex champs Franklin are sitting in a good spot with an 8-3 record. The three losses came in the first five games of the season and two of them to the current division leaders (Mansfield & OA). Unsurprisingly Austin Kent has one of the top players in the league while players like David Stowell, Brian Czuba, Farley Asmath and Kevin Hall have all stepped up to make plays at the right time. Despite graduating 16 seniors last year, the Panthers could be in play for a fifth straight division title. Perry: Attleboro goalie Tyler Stowe is not a soccer player by trade. He’s much better known for being the ace of the Bombardiers pitching staff during baseball season. But after a real struggle in his opening game of the year against Foxboro, Stowe has emerged as a solid replacement for graduated keeper Jason Ross. Stowe may not be a Best XI choice this year, but it has been one position for Attleboro that started as a question mark and has turned into a strength. Stowe has three clean sheets and has only allowed four goals in 6-1/2 games behind an inexperienced Attleboro back line. At this point, which team will be going the furthest in the tournament? Lanigan: I think there are a couple of teams that have a good chance at making runs in the tournament this year. With Franklin, Mansfield and KP in D1, Oliver Ames and Stoughton in D2 and Foxboro in D3, we could see a run from all three divisions. When it comes to the question though, I think Oliver Ames has a good chance of getting back to where they were last year. Don’t be surprised if Foxboro gets further than they did last year and one of the D1 teams makes a run in a talented D1 South field. Perry: I want to go out on a limb, but in the end the team I think will go the furthest in the tournament is the same team that went the furthest last year – Oliver Ames. The Tigers will have to run a gauntlet in Div. 2 with the usual suspects, including a very good Nauset team, but they are playing like a team that can make another run to the state final. With only one goal allowed this season, OA has the strength in defense and particularly in the midfield to battle just about any team in the state. The Tigers have arguably the most complete starting XI in the league. Maybe we could see a rematch of last year’s final with Concord-Carlisle? What is your bold prediction for the rest of the season? Lanigan: I’m going to say that it either be Foxboro scoring 60 goals this season or Oliver Ames allowing six or less goals in the regular season. They might seem like random numbers but the Warriors have 32 goals just over halfway through and I think they can keep that face up in the remaining games. OA has only allowed one goal so far through nine games, and the sun played a big role. I picked six because that’s how many Franklin’s defense allowed last season, which was super impressive. They don’t exactly work together because the two teams have to play each other twice still so we’ll see. Perry: My bold prediction for the rest of the season is that we end up seeing the same division champions as last year. Franklin is currently only a point behind Mansfield and the Panthers are picking up steam as the season wears on and the new players (which are numerous) get more experience. Franklin has given up only one goal since it lost to Mansfield and the rematch looms large on Oct. 19. OA has been dominant all season, but is only two points better than Foxboro at this stage with two meetings remaining. Don’t be surprised if that final game of the season at Ahern turns into a title decider just as it did last year and the Warriors sneak back into first.